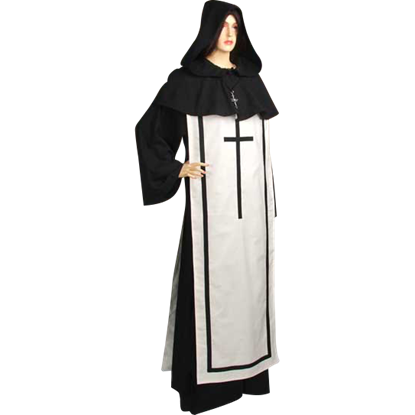 Whether you are looking to fashion yourself as a medieval priest, scholar, pagan, or mystic, Your Dressmaker carries high quality ritual robes for any occasion. 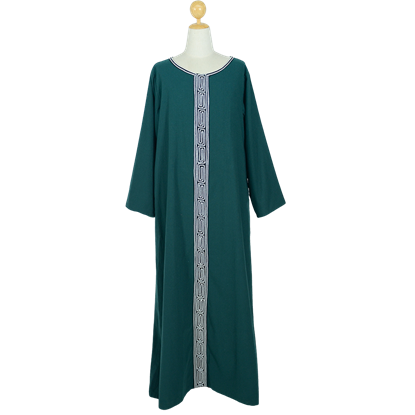 Get dressed for your next secretive ceremony with our selection of Celtic robes, embellished with intricately handcrafted trim, or fall into a mystic mindset when you wear one of our many medieval hooded robes. Each of our historic robes is completely handmade by expert tailors and can be specially tailored to your individual size. 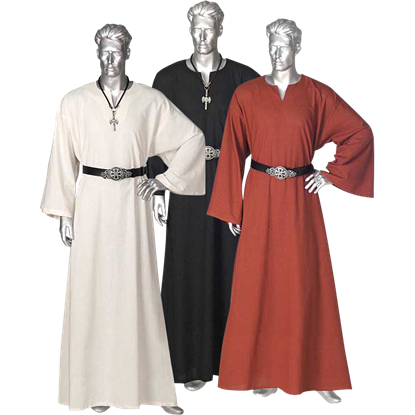 Natural woven cotton and soft faux suede make up many of our various stylish robes, so shop here for peasant worthy robes, Crusader robes, wizard robes, and robes for noblemen. Drawing inspiration from history, our Renaissance robes incorporate a sense of mystery into many of their designs, with billowing sleeves, long skirts, and roomy hoods, and layered mantles to help conceal your identity from prying eyes and evoke a certain mystique. 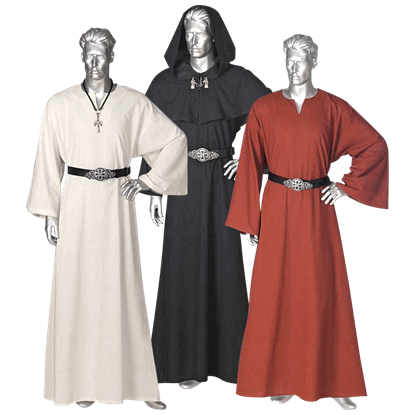 Base your next historic outfit around one of our ritual robes, and wear your look to your next historic reenactment, Renaissance festival, or other historic themed event. Our imaginative ritual robes are ideal for helping you transform into someone else or disguising your true identity, and make fantastic additions to medieval and fantasy LARP outfits as well as costumes for theatrical productions. No self-respecting sorcerer or ritual master worth their salt would dare be seen without a fine robe draped over their shoulders, which is why this Embroidered Mystic Coat is such a find, as it brings a magical touch to any ensemble. Cast your spells with confidence when you wear the Enchanting Mage Robe. This medieval fantasy robe is made of soft suede fabric, and it is accented with smooth taffeta trim in a matching color for a captivating touch of shine. Refinement and mystery meet in the Hooded Velvet Robe, made of plush royal velvet and fully lined with smooth satin. 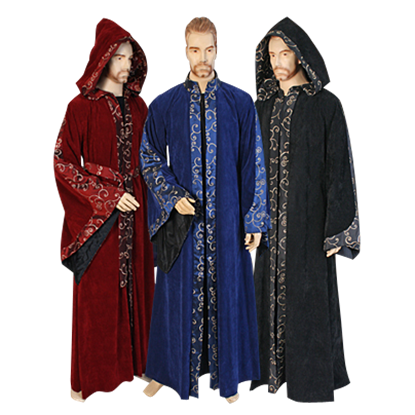 This full length medieval robe is perfect for sorcerers, priests, and anyone seeking a soft and stylish outer layer. 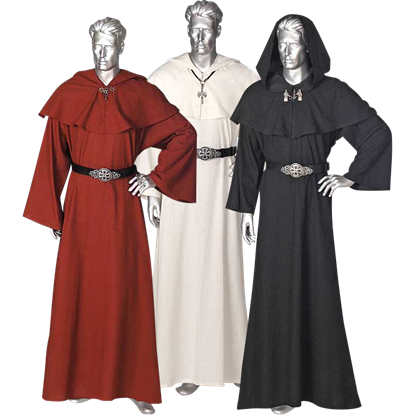 The Medieval Priest Ensemble consists of the robe, the scapular, and hood with shoulder cape. 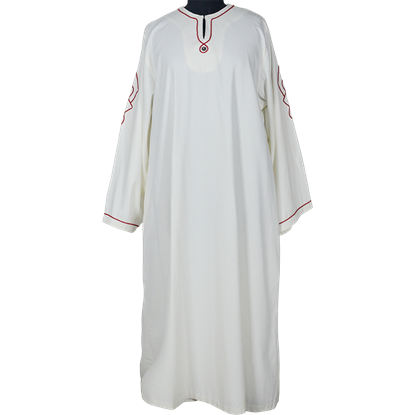 The Medieval Priest Ensemble is handmade of 100% cotton and machine washable. The scapular and hood with capelet are both lined. Build your own ritual robe exactly how you want it. Choose from a variety of options and let us create the perfect robe for you. 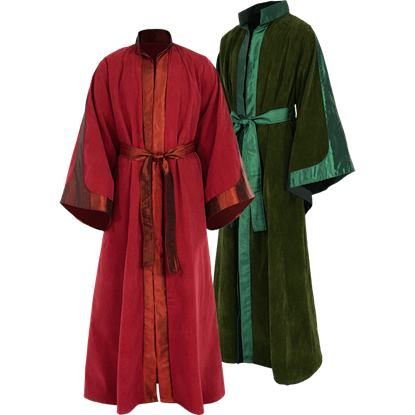 The Celtic Ritual Robe is made of cotton and comes in many colors. The Celtic Ritual Robe is machine washable and must be hung to dry. 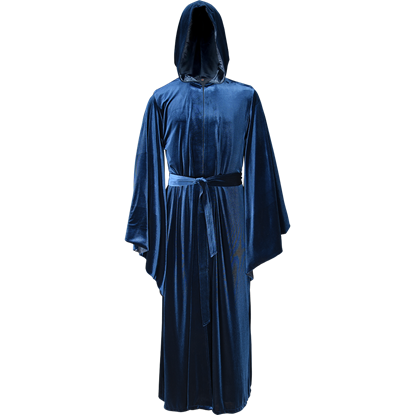 The person wearing the robe will look fit to attend a mystic, religious, or secretive ritual. 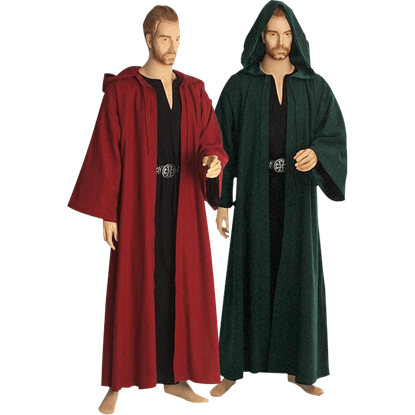 The Celtic Ritual Robe With Hood is a two piece ensemble consisting of the robe and hood with shoulder cape that is lined. 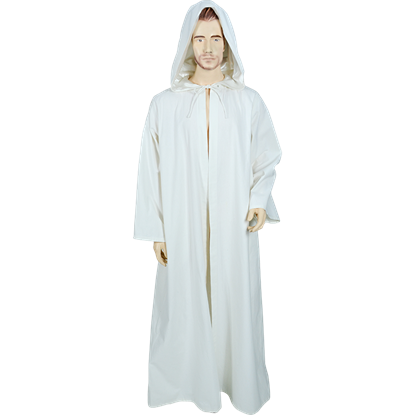 The Celtic Ritual Robe With Hood is made of 100% cotton and comes in a variety of colors.